Augmented reality (AR) and virtual reality (VR) are jumping off the page of science fiction novels and into daily life. In everything from entertainment to shopping experiences, these technologies are changing modern life. The airline industry is not exempt from these changes, and these technologies offer some exciting potential for the airline industry as a whole. Today’s airlines are always looking for ways to be more competitive and to improve the airline experience for passengers. 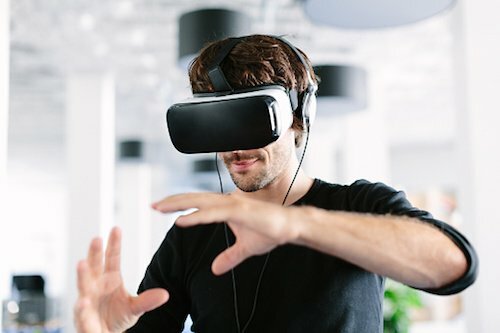 To help reach those goals, many are dipping their toes into the world of AR and VR. With these technologies, airlines are hoping to improve the customer experience, access real-time information more effectively, and streamline the overall flight experience and airline operations. Here is a closer look at how virtual and augmented reality may impact your next flight. Before taking a look at how this technology is impacting the airline industry, it’s important to understand the difference between the two terms. Both technologies alter an individual’s perception of the world around them, but to a different extent. In virtual reality, the goal is to make the user feel as if they are somewhere else. Virtual reality blocks out the world around the user and transports them, at least virtually, to a different location. Closed visors or wrap-around goggles are examples of virtual reality. Because the wearer cannot see what is going on around them and in some cases cannot hear it either, they feel as though they are somewhere else experiencing something in real time. Augmented reality is different. AR does not block the current world. Instead, it adds to the person’s experience of the world around them. Clear visors that display information to the wearer without impacting their ability to see are an example of AR technology. Smart glasses are another example of AR. These provide an interface or virtual display that the user can see while still experiencing the world around them. AR provides more freedom to the user but a less immersive experience. Both have potential roles in the airline industry. Understanding the difference is important to understand how the technology may be used in the future. AR technology has strong potential in giving airline workers a greater amount of control over their work with access to real-time information and a greater amount of data while in the field. For example, Changi Airport in Singapore, known as the “world’s best” airport, has recently begun using AR glasses for its grounds crew. These smart glasses allow grounds crew to scan QR codes on cargo and baggage containers and see instant details about the cargo to help load aircraft more quickly and in a safer manner. By knowing instantly the weight of a piece of cargo, the baggage handlers can properly load the aircraft to balance the load, and do so more quickly. In addition to balancing the load, these glasses allow for better communication. Staff inside the airport can monitor the handlers and what they see in real time as well thanks to cameras in the glasses. The glasses can be used to send messages to the ground employees in real time to help them make adjustments when needed. This will eliminate the need to rely on walkie-talkie communication, which is sometimes difficult in the loud airport environment, eliminating some risk of error and delay in loading the plane. This technology is like something out of a science fiction movie, but it still has its limits. 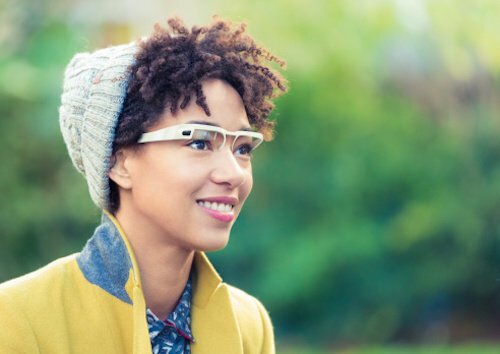 The glasses have a charge that only lasts about an hour without an external battery pack. Some crew members struggle to adjust to the use of the glasses, and the entire crew requires extensive training to use them properly. However, once fully implemented, the new plane loading process could reduce loading times by 15 minutes. It’s not just workers on the ground that are benefiting from this technology, either. Air New Zealand has recently collaborated with Dimension Data to test a program that will offer its flight attendants augmented reality glasses that allow them insight into the emotions of passengers. Using visual cues, the HoloLens headsets will read the emotions of passengers based on their facial movements, then relay that information to the flight attendant. 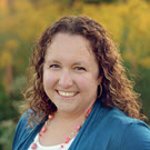 The theory is that the flight attendant can respond to the emotion and provide a better overall flight experience to passengers who are feeling anxious or angry. This technology could also match faces to scanned passports. This could, in theory, allow airline staff to check passenger manifests to ensure only ticketed passengers are on board the aircraft. The technology could also be used to store food and beverage preferences for long flights, so flight attendants can remember what a passenger wants to drink more easily without having to write anything down. While it’s still being tested, the potential is definitely interesting. These are just some examples of ways in which AR can improve and streamline the airport and flight experience by making workers’ jobs easier. When airline workers spend less time with busy work thanks to technology, the entire flight experience becomes more pleasant for passengers and employees alike. If these test programs prove to be successful, you can expect to see similar programs nad technology hitting your favorite airport in the near future. Another way new technology is being introduced in the airline industry is in the improvement of passenger experiences. Emirates Airline is currently testing a new virtual experience for first class suites in the middle of the aircraft that relies on technology to provide a visual of what is happening outside the aircraft. 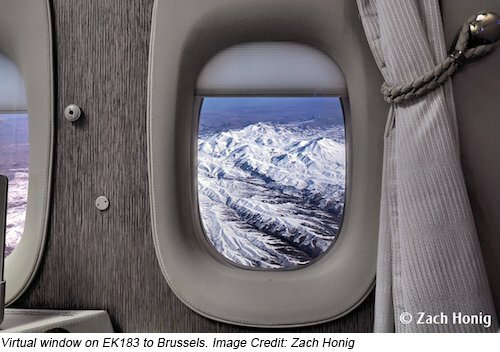 This suite offers passengers the ability to virtually see outside the aircraft using images captured by fiber-optic cameras placed outside the plane and projected on screens where the window normally would be. While this might sound like a recipe for claustrophobia, the images are such high quality images that most people felt they were just as good, if not better, than seeing outside with the naked eye. So what’s the benefit of this technology, which already being used on board the Emirate’s newest Boeing 777-300ER plane? Why would airlines want windowless planes? Putting windows on aircraft requires quite a bit of structural engineering and heavy materials in order to make the plane structurally sound. Each of the windows creates a structural weakness that must be addressed with additional support structure. By eliminating the window altogether, the plane becomes stronger and lighter weight. This increases fuel efficiency and also the potential distance that a plane could fly without needing to stop for fuel. There’s one potential downside to this technology, though, and that is passenger expectation. Many passengers will not be content with virtual windows. They will feel confined and unsafe without actual windows to see out of. It remains to be seen whether the new technology will be an effective replacement for windows, even if the image is exceptional. Emirates is planning to continue testing its new first class cabin, though, to see what passenger reactions may be. All of these test programs and scenarios use AR, not VR. Does VR have a role to play in the airline industry of the future? Qantas thinks it does. Qantas offers first-class passengers a VR repentance that lets them explore their destination before they actually arrive. The program, launched in 2015, provides virtual reality experiences to first class passengers. While on board the airplane, passengers could use their smartphones combined with a Qantas Cardboard visor to explore several of the country’s national parks in stunning virtual reality. 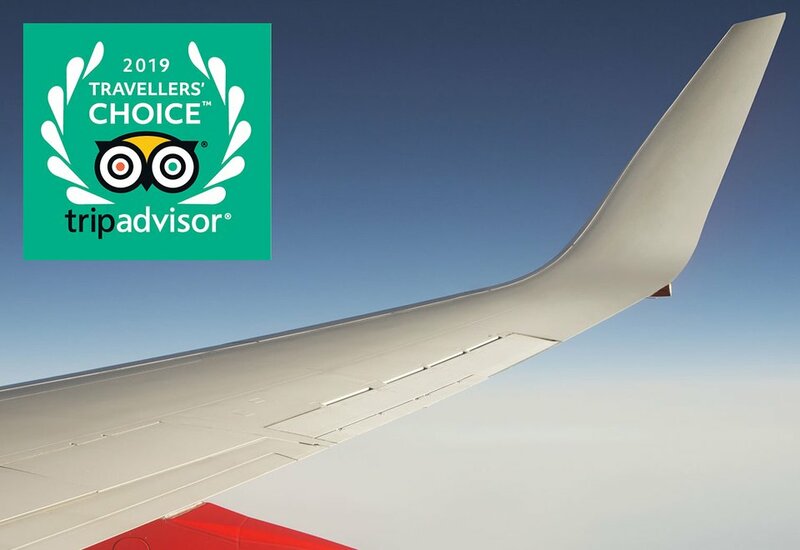 All they needed was the Qantas VR app and a first-class cabin seat to spend time exploring their destination while in-flight. Air France is also testing VR experiences for some of its flights. 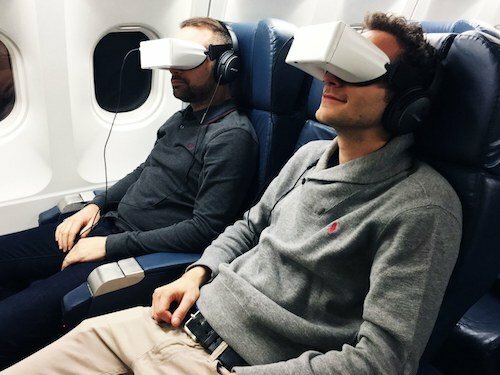 Air France, in a 2017 trial, offered passengers the option to VR headsets to view films in their own private theater-like experience. Both 3D and 2D films are available, giving passengers the chance to view what they want without worries about disturbing the passengers around them. The trial was offered on A340 flights between St. Martin and Paris CDG. Only four headset were available to business class passengers, and each was loaded with around 40 shows and movies. Air France is contemplating a full roll out of the service to other flights depending the perceived success of the trial. This type of in-flight entertainment is possibly going to become standard in airlines of the future. For frequent travelers, this could mean a more pleasant, or at least more entertaining, travel experience. Virtual reality and augmented reality show strong potential to help the airline industry. Whether or not it makes tremendous inroads in the next couple of years, the technology is here and will eventually be standard in the airline industry. This means you can realistically expect to encounter AR and VR technology on one of your next trips to the airport.